Get set for a fulfilling finance career with Kaplan Professional’s comprehensive online Graduate Certificate in Applied Finance. This is an ideal qualification if you’re a graduate ready to start your career, if you’re already working in finance and are looking to build your specialist knowledge or if you’re considering a career change. If you work in the legal profession and need to gain an understanding of financial services, this course is also an excellent choice. This graduate certificate provides you with a thorough grounding in financial services skills and knowledge that’ll get you workplace ready. You’ll undertake core subjects in Financial Markets and Economic Principles, Regulation Ethics and Risk Management and Financial Analysis and Validation, and can choose from numerous electives depending on your area of interest, from real estate analysis funding to operational risk management. With this qualification under your belt, you’ll be ready to apply your skills and knowledge in a range of professional financial contexts, including corporate finance, banking, risk management and compliance. 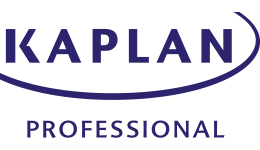 Upon successful completion of this course, you will graduate with a a Graduate Certificate in Applied Finance from Kaplan Professional. This is an ideal qualification for existing finance professionals seeking to fill knowledge gaps and gain specialist skills. It also offers graduates and professionals in other fields the opportunity to apply for jobs in the financial services industry.